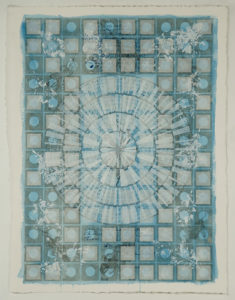 Works by Katherine Mitchell and Diane Solomon Kempler, pictured, will be on display through Dec. 7. Works by Katherine Mitchell, pictured here, and Diane Solomon Kempler will be on display through Dec. 7. Diane Solomon Kempler and Katherine Mitchell will have an exhibit of their works in the Circle Gallery, Oct. 3-Dec. 7. 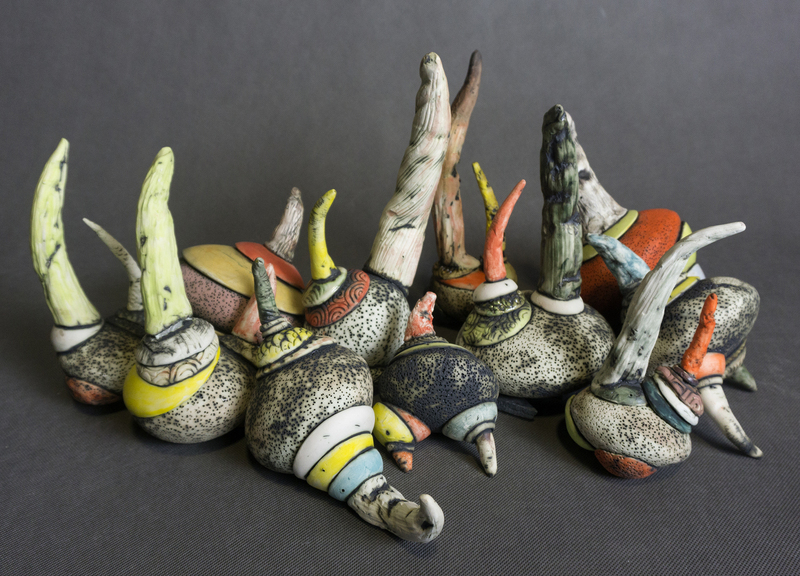 Inspired by microscopic images of natural objects, Kempler’s exhibit of ceramics is titled Garden of Biotanical Delights. Mitchell’s exhibit is titled Hearing the Trees. In conjunction with the exhibit, there will be a free gallery talk and opening reception Oct. 3 from 4:30-6 p.m.
Kempler is interested in the evolution theory in biology where modifications of objects occur in successive generations. Using hand building techniques with clay, her primary medium, she creates works that reference the world of microbes and molecules. Over the years, Mitchell has moved back and forth between her interest in architectural form and the natural world. These paintings are a series of work focused on a favorite tree, a White Oak, which she had come to love. She is drawn to geometry, to the layering of systems and patterns and to embedding texts within these works. The Circle Gallery at the College of Environment and Design is open weekdays from 9 a.m. to 5:30 p.m.